This is the base of the best soups, sauces and stew you could possible make. 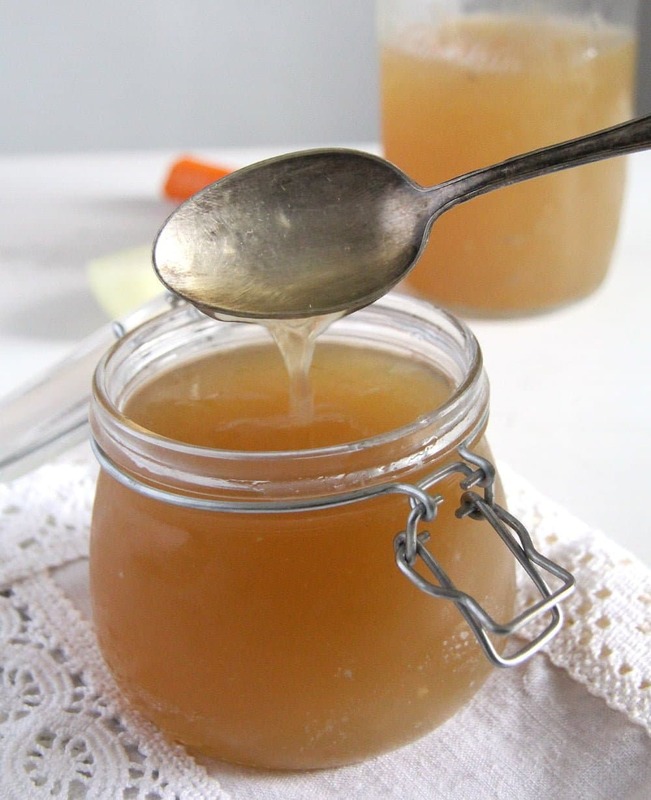 And not only: bone broth seems to have amazing benefits on your health. In previous posts we talked about the different between broth and stock. Bone broth is unique because it uses the parts of the animals we typically throw away (bones, marrow, joints) instead of the meaty bits. Bone broth is incredibly healthy because inside the bones contain an abundance of a protein called collagen. 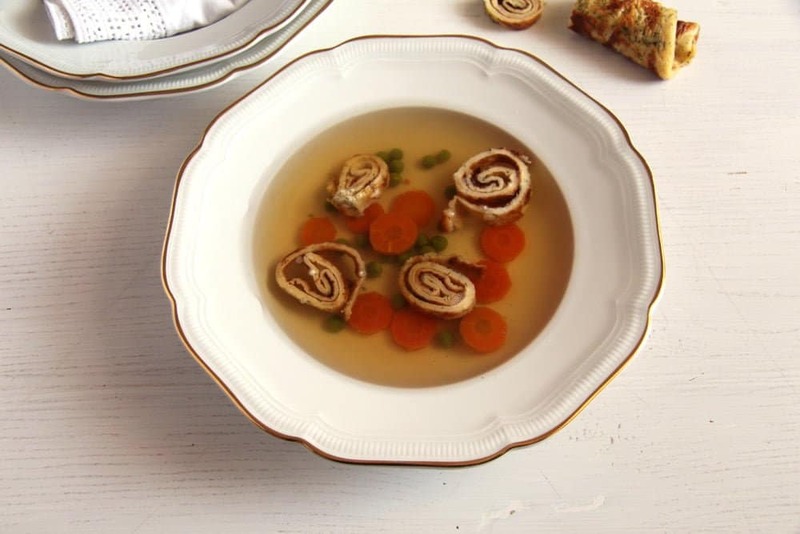 By simmering the bones in water for 12-24 hours, it breaks down the collagen to form a gelatin. This gelatin contains many amino acids like glutamine and glycine, which are well known to help benefit your digestive health, immune system, and reduce joint inflammation. Similar to other broth recipes I’ve shared, this recipe uses vegetables to help build the complex flavor. But the true magic really comes from using grass-fed bones and simmering the ingredients on low heat for 12-24 hours. Because of the long simmering times, you may not always have the time to make it yourself. While I always think homemade is better, I do think that there are a few brands out there that are both delicious and nutritious. I prefer Kettle & Fire’s Beef Bone Broth because they use grass-feed bones and organic ingredients giving their broth a superior flavor and texture. Plus, they’re the only non-frozen and shelf stable bone broth product, so I can always have some stored in my pantry for when I’m in a pinch. You can also buy their product on their website, and if you use the promo code “MYSPOON15”, you’ll get 15% off your first order. 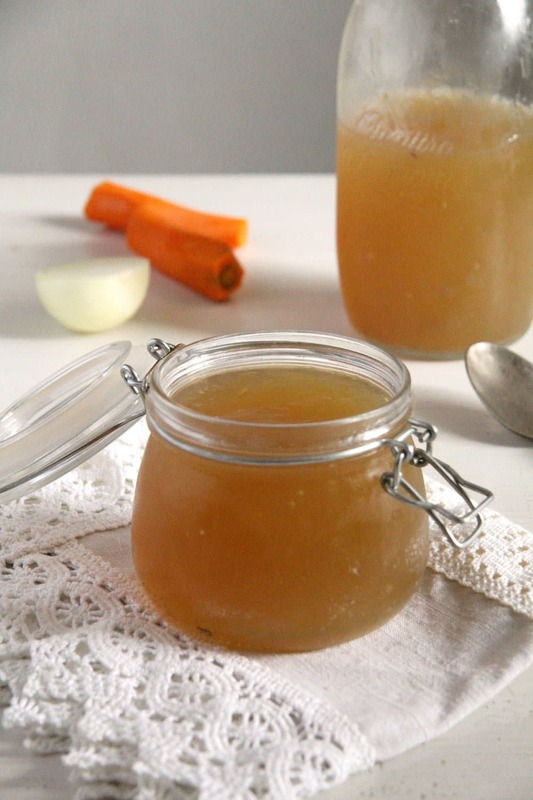 But if you do have the time, I highly recommend you try making your own bone broth. I prefer heat it up and drink it plain out of a mug, but you can also use the broth for soups, stews, casseroles, or anywhere that could use a little extra broth flavor. If you fill the hot soup in mason jars and place them in the fridge after getting cold, the broth will keep for at least 3 to 5 days. And if you think you cannot use it up so quickly you could pour the broth into smaller containers and freeze it. Disclosure: This post contains affiliate links, which means that if you click on the product link and make a purchase, I will receive a compensation. Preheat oven to 400 F. Place bones in a single layer on a sheet or roasting pan. Drizzle with olive oil to evenly coat. Roast for 30 minutes, then, flip each bone over and roast for an additional 30 minutes. Put bones, bay leaf, cider vinegar, chopped vegetables and peppercorns in a large crock pot or soup pot. Cover completely with water and bring to a high simmer. Add some salt. Reduce the heat to low and let simmer for 12-24 hours. Add water as needed to keep all the ingredients submerged. Once the broth has reached a dark rich brown color, remove from heat. Discard the bones, vegetables and bay leaf and strain through a cheesecloth. Cool the pot to room temperature. Once at room temperature pour into jars and let cool in the refrigerator for at least 1 hour. Add salt to taste. To serve, skim the condensed fat off the top of the broth and heat to the desired temperature or add to your favorite dish. I agree..nothing beats homemade bone broth. Oxtails is definitely one of my favorites!!! NOTHING beats homemade broth or stock! 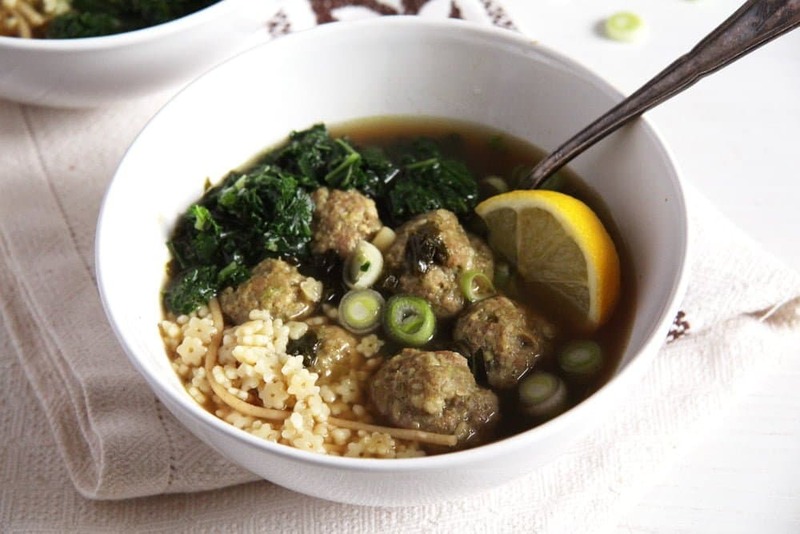 And this bone broth looks incredibly flavorful! I need to make a vat of this and keep it on hand in the freezer! Love it! Cheers, friend! 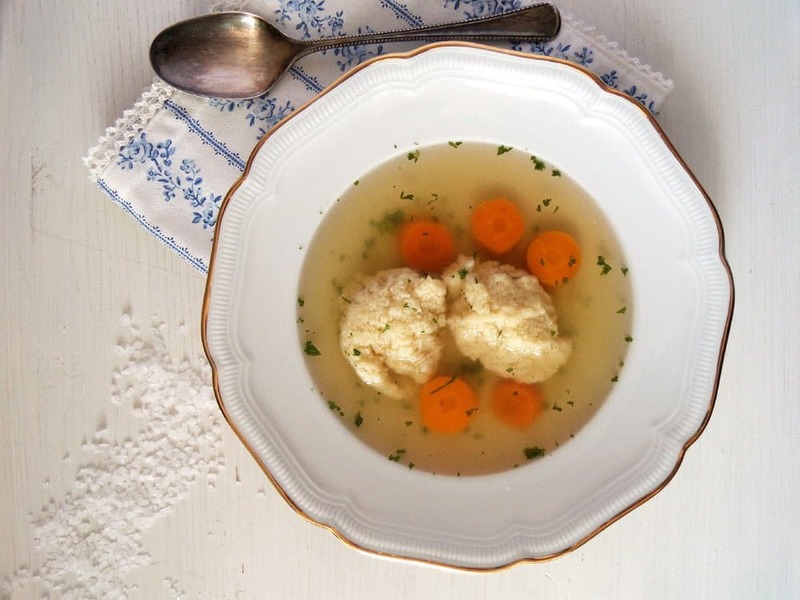 I have always wanted to try bone broth for its healing properties. But I don’t have the time to make it. I am going to check out the brand you recommend now! I’ve heard so much about this and love the wonderful nutrition and healing properties. I love that you made your own and I’m also happy to know the brand you prefer if homemade is not a viable option. Thank you! I’ve been making my own chicken stock for many years (haven’t bought it for ten years at least) and I think it’s one of the easiest, laziest things to cook (though it requires a long simmering time, so I prepare it when I know I’ll stay for several hours at home), but I’ve never tried making beef stock/broth (not even tasted!). My mum often makes a combination of beef and chicken bones+meat+vegetables and it tastes great, so I must test your beef version one day because it sounds fantastic. Vinegar’s addition sounds very interesting! I enjoy drinking bone broth every morning! It has lowered my arthritis and overall pain a lot. I also used to be more sensitive to specific types of food. I feel that the bone broth has helped my digestion within this area. health benefits? I may try it. Hi Natasha. Bone broth is great, I am glad it helped you. But I really don’t know about the collagen capsule, I have never had that myself.